For photo entry, tell us how this Championship will help you realize a dream for your business. Limit 1,500 characters. Write "NA" if video entry. It all started in the early 1990's when I took a job that raised money and procured equipment for First Responders and Search & Rescue programs. Not only did I learn what these fine men and women needed to perform their rescue efforts, I also learned what they wish all people would have to take care of themselves if help is slow to arrive. Fast forward to 2007 shortly after our twins were born, I wanted to start a business that I could grow and hopefully one day pass along to my girls. 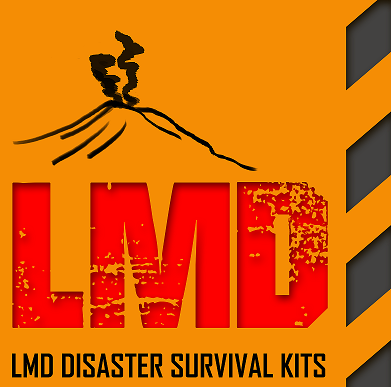 Knowing a little about emergency preparedness I started an online store called LMD Disaster Survival Kits. The L stands for Lisa my wife, the M is for me Michael and the D is four daughters. I started on a shoe string financially but steadily we have been fortunate to help families, businesses, schools and other organizations prepare themselves. We have not reached the point of what you would call a successful business financial wise as sometimes I need to take money from the family account to pay for business expenses. Our biggest struggle has been being able to reach more customers in need of disaster preparedness. It would be a dream come true to have the ability to grow and reach more customers. If we were to win the Championship and the $25000 it would go a long way in being able to promote our brand and our mission of "preparation for everyone". We take great pride in knowing our efforts can have a positive outcome in a bad situation. I thank you and hope we can count on your vote. What would you buy with a $1,000 Sam's Club gift card? I would use the Sam's Club card to purchase a video camera so we can make disaster preparedness educational videos and product information. How would you benefit from a year of SCORE mentoring and coaching? Even though I have not used SCORE I have looked into the mentors available and know that they will be able to help us achieve our goals. Having someone who knows the obstacles we face and how to over come them would be a game changer.